Rock Paper Scissors given enough iterations has some skill to it and can therefore be classed as a game (as opposed to a simple method for picking the starting player in a proper game) chupacabra on the other hand has no skill and simple masquerades as a game. 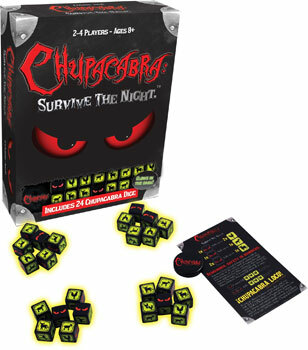 One of the selling points of the game is the dice glow in the dark. Fantastic until you realize it’s stored in a cardboard container so the dice don’t pick up any light in there so when you take them out they glow as much as a sad emo. Now to the game itself. You have about two dozen identical dice which have a variety of faces. Chickens, goats, cows, scary eyes and double chickens. The dice are split between all the delighted players and everyone rolls. Groups of animals are …. Sorry was yawning there … Ok.. Put together and you wind up with herds of cattle, goats etc. For each of the eyes you rolled you can attack another farm and steal their dice. The trick is you have to take a particular animal herd in total. So if you have three attacking dice you can only capture a heard of goats of size three or less. Chickens are easy (that sounds all wrong) and you get a two for one deal with them. Cows something else. I can’t remember but it doesn’t matter. Anyhoe you in turn attack others and rob their stuff accumulating more dice. That’s it. I played a number of games of it and it came down to those who got lucky and got a few more dice than others got ahead and couldn’t be stopped. End of. Just to confirm the definition of madness I played a few more games and nope that was it. This is beg thy neighbor with dice and even as a kid I wasn’t s huge fan of it. Now this will work ok for kids. For a while. Zombie dice is way better. 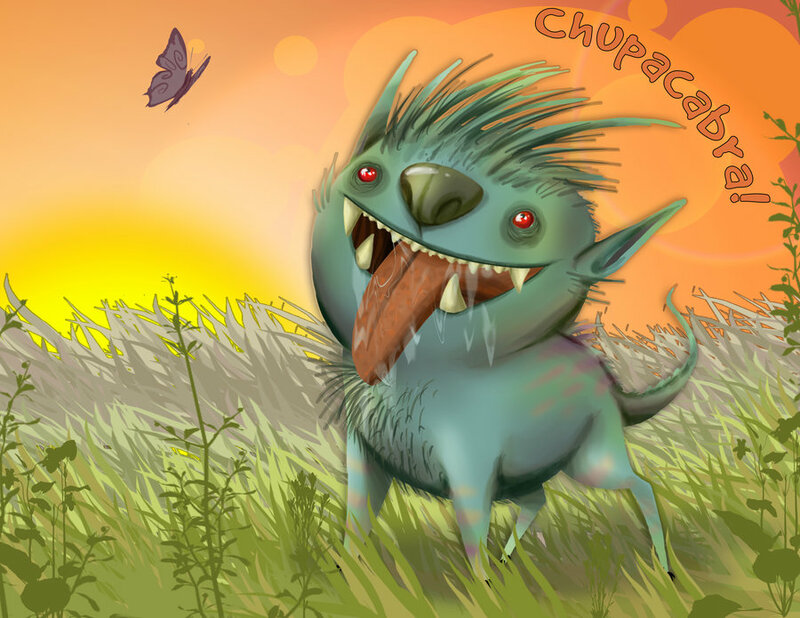 Chupacabra is a bad game. You’ll be a bad person if you buy it and not in a good way. I’m hoping someone can correct me, but I don’t think so. I want the precious minutes I spent playing it back. A mutual friend of ours equated Cosmic Encounter to being about as fun as “the game you play with your brother where you both hit each other until it hurts too much”. Sounds like this is kind of the same thing.